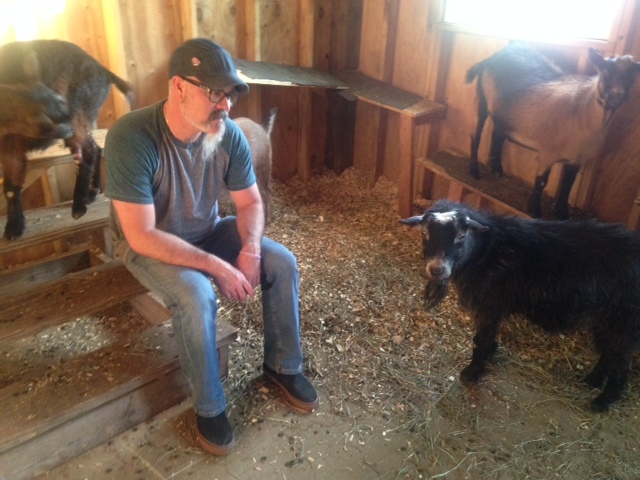 A special thank you goes out to our friend, Jack Shetler, for donating a new friend to Farmer Casey’s Ranch: Mini goat, John Charles. John Charles joins Spots, Pinky, Gino, and Zel at the farm. Here, John Charles joins Director of ISLE, Jimmy Sutman, in discussing future farm planning. John Charles enjoyed some apple flavored oats during the meeting. Welcome John Charles! Please introduce yourself to him at the farm.